TRANSPARENCY International Zambia (TIZ) has welcomed the resignation of the Zambia National Farmers Union (ZNFU) President Evelyn Nguleka from the institution where she is implicated in the alleged misapplication of over K34 million donor funds. Information officer Charles Chulu said the Drug Enforcement Commission (DEC) had lived up to the expectations of Zambians over the alleged glaring misapplication of funds at ZNFU as the arrest of Dr. Nguleka and executive director Ndambo Ndambo and their subsequent presentation to courts would provide answers as to what really transpired at the institution. Mr. Chulu said the arrest of the duo would provide a way forward as to what should be done or the next course of action should the duo be found wanting. “Transparency International Zambia (TIZ) has welcomed the resignation of the Zambia National Farmers Union (ZNFU) President Dr. Evelyn Nguleka from the institution where she is implicated in the alleged misapplication of over K34 million donor funds revealed by two independent audit reports conducted by KPMG Finland and EMM Corporates of Zambia. “We are particularly happy with the move taken by the Drug Enforcement Commission to charge and arrest Dr. Evelyn Nguleka and Executive Director Mr. Ndambo Ndambo in connection with the alleged misapplied funds because the move will help in getting explanations as to what exactly has happened at the institution and will provide a way forward on the next course of action should they be found wanting,” Mr. Chulu said. The developments at ZNFU should serve as a lesson to all individuals in institutions entrusted with public responsibility and management of resources to live above board in their execution of duty. “As an organisation, we are aware that the Embassies of Finland and Sweden in Lusaka conducted separate institutional audits which revealed that over K34 million was misapplied at the expense of millions of poor Zambians. “TIZ is, therefore, urging all institutions tasked with managing resources meant for uplifting peoples’ lives to operate above board without raising questions in the minds of the public and donors about who they deal with and how they spend their money. Further the organisation believes that this serves as a lesson to all other public and private officials to desist from any forms of illegal practices that will otherwise impact negatively,” he said. DEC arrested Dr. Nguleka and Mr. Ndambo on Monday for money laundering activities. 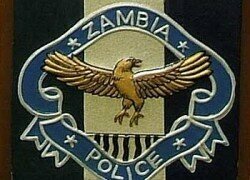 The duo is charged with obtaining money by false pretences and money laundering contrary to the Laws of Zambia.